It is here where GUST's e-foundry guys, Bogusław “Jacko” Jackowski and Janusz M. Nowacki aka “Ulan”, supported in LaTeX matters by Marcin Woliński, are delivering fonts developed by them for the “Latin Modern Project”. The project started in 2002 and will run for several more years. It is funded by DANTE e.V., GUTenberg, NTG, TUG, CS TUG and GUST. You may go directly to the download section and/or consult the available publications. You might also be interested in the fonts' licensing. If you are into typesetting mathematics, you might also be interested in the Latin Modern Math fonts in the OpenType format. The Latin Modern fonts are derived from the famous Computer Modern fonts designed by Donald E. Knuth and described in Volume E of his Computers & Typesetting series. 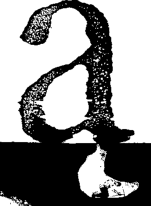 An extended Type 1 (PostScript) form implementation of the Computer Modern fonts resulting from the work of numerous people was derived from high resolution METAFONT-generated bitmaps and published in 1997 for general use under the name of AMSFonts by a consortium of scientific publishers which included the American Mathematical Society (AMS). The AMS since then holds the copyrights for AMSFonts in order to assure their authenticity. More details can be found in the relevant section at the AMS web site. One of the main extensions characterizing the Latin Modern collection is the addition of an extensive set of diacritical characters, covering many scripts based on the Latin character set, mainly European, but not only, most notably Vietnamese. The project is authored by Bogusław “Jacko” Jackowski and Janusz M. Nowacki aka “Ulan”, supported in LaTeX matters by Marcin Woliński. The method and scope of the LM project, more fully described in the available publications and presentations, has become to be known as “LM-ization”. This method was also applied to the font families distributed with the Ghostscript program to produce the TeX Gyre fonts. lmb10, lmbo10, lmbx5, lmbx6, lmbx7, lmbx8, lmbx9, lmbx10, lmbx12, lmbxi10, lmbxo10, lmcsc10, lmcsco10, lmdunh10, lmduno10, lmr5, lmr6, lmr7, lmr8, lmr9, lmr10, lmr12, lmr17, lmri7, lmri8, lmri9, lmri10, lmri12, lmro8, lmro9, lmro10, lmro12, lmro17, lmss8, lmss9, lmss10, lmss12, lmss17, lmssbo10, lmssbx10, lmssdc10, lmssdo10, lmsso8, lmsso9, lmsso10, lmsso12, lmsso17, lmssq8, lmssqbo8, lmssqbx8, lmssqo8, lmtcsc10, lmtcso10, lmtk10, lmtko10, lmtl10, lmtlc10, lmtlco10, lmtlo10, lmtt8, lmtt9, lmtt10, lmtt12, lmtti10, lmtto10, lmu10, lmvtk10, lmvtko10, lmvtl10, lmvtlo10, lmvtt10, lmvtto10. lmbsy5, lmbsy7, lmbsy10, lmex10, lmmi5, lmmi6, lmmi7, lmmi8, lmmi9, lmmi10, lmmi12, lmmib5, lmmib7, lmmib10, lmsy5, lmsy6, lmsy7, lmsy8, lmsy9, lmsy10. This has changed in 2011 by the release of the Latin Modern Math (LM Math) fonts. Taken together, both families are now a completely modernized implementation of the Computer Modern Fonts in the OpenType format. CS (CS TUG; cs-*.tfm), EC (Cork aka T1; ec-*.tfm), QX (GUST; qx-*.tfm), RM (“regular math”, used in OT1 and OT4; rm-*.tfm), L7X (Lithuanian; l7x-*.tfm), Y&Y's TeX'n'ANSI (aka LY1; texnansi-*.tfm), T5 (Vietnamese; t5-*.tfm), Text Companion for EC fonts (aka TS1; ts1-*.tfm). The fonts are also available in the OpenType format (OTF), ready to be used e.g., with popular WYSIWYG document processors, but see also the Unicode font encoding definitions for XeTeX, referenced in the Readings section. The provision of the OTF version is for TeX an important step into the Unicode age. The most up-to-date version, in various formats, including the OpenType format, can be downloaded from here. The Latin Modern fonts are included in many TeX distributions, like TeX Live, MiKTeX, W32TeX or gwTeX. Of course, they are also available from the main source of TeX software, the Comprehensive TeX Archive Network (CTAN). The Latin Modern fonts are being released under the GUST Font License (GFL), which is a free license, legally equivalent to the LaTeX Project Public License (LPPL), version 1.3c or later. A preprint (with photos of Bogusław Jackowski) and the final version of the paper by Bogusław Jackowski (GUST) and Janusz M. Nowacki (GUST) given by the former at the 25th TeX Anniversary TUG conference, Waikoloa Beach, Big Island, Hawai‘i, USA. A paper by Bogusław Jackowski (GUST) and Janusz M. Nowacki (GUST), given by the former at the EuroTeX 2005 conference, Pont-à-Mousson, France. An article by Will Robertson (School of Mechanical Engineering, University of Adelaide, Australia) published in The PracTeX Journal, No. 1 (2006). There is also an article “Testování LM-fontu s ohledem na cs. sazbu” (cf. page 3 of the referenced CSTUG bulletin) by Karel Píška on his efforts in Latin Modern testing. Although it is written in the Czech language, the provided illustrations speak volumes. The e-foundry team is greatly indebted to Karel. The EUenc package at CTAN, by Will Robertson (School of Mechanical Engineering, University of Adelaide, Australia), attempting to provide LaTeX font encoding based on Unicode. The EU1 Latin Modern encoding is offered in order to access the OpenType LM versions with XeTeX, see euenc.pdf, the package's documentation. Michael Everson's site The Alphabets of Europe might be of interest to those who want, e.g., to verify to what extend the Latin Modern and TeX Gyre families allow to typeset texts with Latin alphabet based scripts. There are, however, lots of Latin-based glyphs missing from the collections, see, e.g., the work of Conrad Taylor “Typesetting African Languages”, which is a good thing because it demonstrates that there is still a lot to be done within the Latin Modern and TeX Gyre projects. A historical note, provided by Nelson Beebe, on one of the first attempts at extending the usability of the Computer Modern fonts.